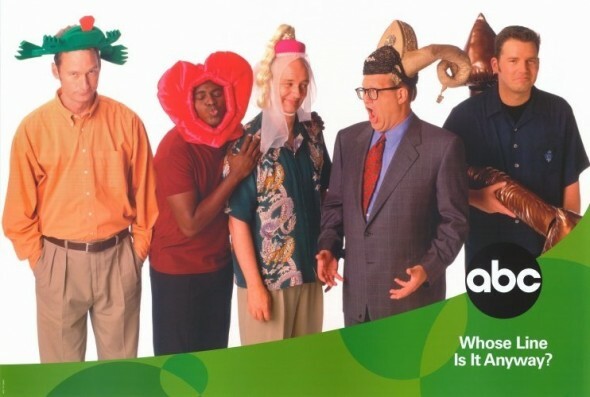 Performers include: Drew Carey (host), Aisha Tyler (host), Ryan Stiles, Colin Mochrie, Wayne Brady, Laura Hall, Linda Taylor, Greg Proops, Brad Sherwood, Chip Esten, Cece Worrall-Ruben, Kathy Greenwood, and Denny Siegel. This comedy improv show consists of a panel of four performers who create characters, scenes and songs on the spot — in the style of short-form improvisation games. Topics for the comedy segments are based on either audience suggestions or predetermined prompts from the host. The style of the games are varied and some feature all four performers, while others involve one or two. Between games, the performers sit in four chairs facing the audience. The performers who are not involved in a game remain in their seats where they observe and laugh along with the rest of the audience. What do you think? Do you like the Whose Line Is It Anyway? TV series? Do you think it should be cancelled or renewed for another season? Have always enjoyed this show. I have been watching outtakes lately on YouTube and still laughing at them. Please don’t cancel this show!! My son and I LOVE THIS SHOW!!! Unlike other so called “comediens”, these people and THIS SHOW are unequivocally HILARIOUS!!! Keep it up!